Many new graduate nurses are readily offered jobs prior to graduation. The positions that they are offered are usually those with the title graduate nurse or GN. For the most part, new graduates are looking for employment near their home. Since the general nursing student is now in their early to late thirties, they have already established a secure family base. While jobs for graduate nurses are plentiful it helps to have some idea of how many jobs are actually offered throughout the United States. The wonderful fact of being a nurse is that they can work just about anywhere. The following information should be helpful in getting some idea of the pay for different nursing fields. Hospital Nurse Recruiters will inform the new graduate nurse that obtaining a bachelor degree in nursing is favored. Many hospitals will offer some form of tuition reimbursement for those nurses who seek to obtain a BSN degree. Tuition reimbursement can go as high as one hundred percent to fifty percent. For nurses who work in hospitals, there is a world of opportunity to move into many different nursing specialties. As the nurse gains more experience in their field, their salary will also increase. The salaries listed below are not all inclusive, but merely present to the reader a general idea of the salary range that exists. 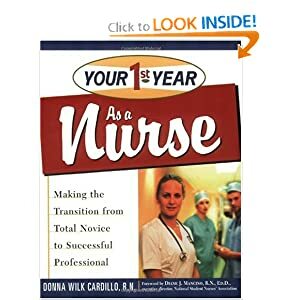 The reader should keep in mind that each hospital will be unique in what type of salary is offered depending on the nurses qualifications and prior work experience. Just as you might think, large cities like New York, Los Angeles, and Chicago hold the top spots for the number of nursing jobs available. The larger cities also have higher salaries and better benefits for their nurses. The tradeoff is longer hours and more stress in large city nursing jobs versus the small community jobs where hours are usually better and the number of patients to serve is lower. The median expected salary for a typical Staff Nurse – RN in Detroit**, MI, is $65,817. This basic market pricing report was prepared using our Certified Compensation Professionals’ analysis of survey data collected from thousands of HR departments at employers of all sizes, industries and geographies. Evaluates, plans, implements, and documents nursing care for an assigned patient population. Assists physician during examinations and procedures. Performs various patient tests and administers medications within the scope of practice of the registered nurse. Promotes patient’s independence by establishing patient care goals and teaching patient and family to understand condition, medications, and self-care skills. Requires an associate’s degree and is certified as a registered nurse. Familiar with standard concepts, practices, and procedures within a particular field. Relies on experience and judgment to plan and accomplish goals. Performs a variety of tasks. A wide degree of creativity and latitude is expected. Typically reports to a manager or head of a unit/department. Staff RNs working in the United States average a median base salary of $41,642. Half of all US RN’s are expected to earn between $38,792 and $44,869. Nearly 67% of nurses are employed in hospital inpatient and outpatient settings. 32% of all nurses are employed in medical offices and clinics, home healthcare agencies, nursing homes, temporary help agencies, academia, and government agencies.